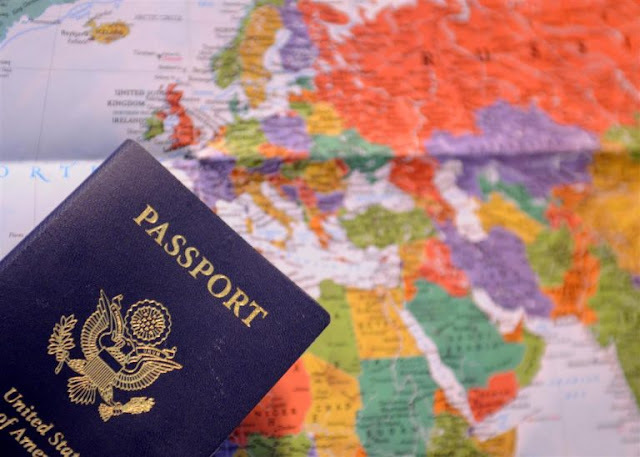 Mr. G's musings: Important PASSPORT changes are here!!! If your passport expired or you do not have one, APPLY NOW. Important PASSPORT changes are here!!! If your passport expired or you do not have one, APPLY NOW. Starting this year, there will be a delay in processing passports. The article recommends you do them now. Effective January 2018, there were be stringent information required for state driver's/ID. You should get your passport, especially if you fall into one of these states that do not meet federal requirements. Do not risk your ability to fly domestically by not having a passport. As of 11/2006, glasses cannot be worn for your passport photo (there are certain exceptions). The State Department has rejected many passport applications because they did not meet passport photo guidelines. Passports are changing. All new passports will include a chip on the information page. In the future these chips may contain more personal information. The State Department is advising that there will be more technological features on US passports. Also, the number of pages in the book will be decreased. I guess that's to discourage travel? There will also be other changes to protect the passport from physical damage.